Tech Northwest Skillnet is a network of companies in Donegal, Sligo and Leitrim who are focused on technology, innovation and competitiveness. 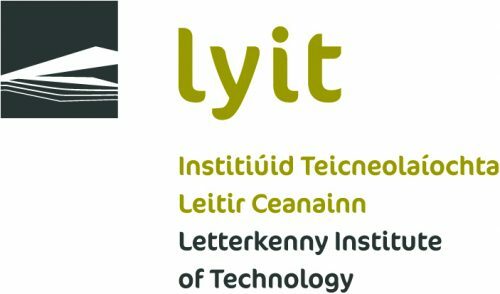 Facilitated by Letterkenny Institute of Technology it is providing training and networking opportunities for employers in the area. Courses can be run in any topic of interest to companies and at a time and venue that suits employers and employees alike. Course fees are reduced due to the financial assistance from Skillnets and the economies of scale involved with the network. Tech Northwest is co-funded by Skillnet Ireland and member companies. Letterkenny Institute of Technology is the originator and promoter for the Tech North West Skillnet. We see this as an excellent way in strengthening our links with industry in the North West and developing the skill and talent base of employees. We are happy to support and grow this initiative in the years ahead. This course will provide delegates with the knowledge and skills to correctly pre-assess, lift, carry and lower objects. It will identify best health.. Customer service training with a four step method to achieve quality customer service over one or two day training. Tech NorthWest Skillnet has provided us with exceptional support and training in recent years, which has enabled us to remain competitive in a shifting Technology sector. Our employees have availed of fantastic opportunities to up-skill as a result of this valuable partnership with the Network, specifically in the area of specialist vendor education. Manager, Learning & Talent Dev. We engage with the Tech NorthWest Skillnet for both training provision and networking opportunities. The training delivered enables many of our members companies to up-skill their staff in a cost effective way. The networking events have also proved very helpful in making valuable business contacts. Our partnership with Tech NorthWest Skillnet is a key relationship for our members. We have used the services of the network to train a number of our staff. Our senior staff did a brilliant course in Leadership which helped us greatly. We regularly use the network for IT and Health and Safety training. It is great to have quality training provided locally. And our staff really benefit from training with people from other businesses.